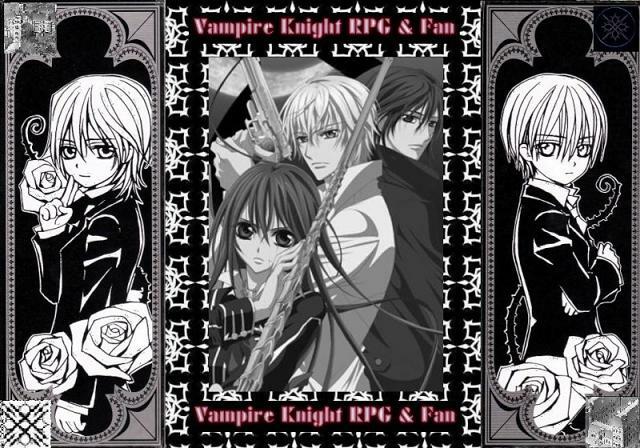 A Fan/Rp site based on the manga by Matsuri Hino! There are no cannons, so the character's you'll be playing as will be your dream characters! Make sure you read rules and info before joining! personality:The most obvious thing that someone could tell about Kiyoshi at first glance is that he is an extremely shy boy. He doesn’t hang out with too many people due to him growing up alone so he tends to simply stay alone with himself and talk to no one unless someone talks to him and even when he’s spoken to, he looks towards the ground instead of at the one he’s speaking to. He is also a very disciplined and respectful boy for he almost never forgets to use honorifics, even if it’s towards someone he doesn’t know, nor does he ever forget his manners, saying please, thank you, and apologizing sometimes even when it is not necessary. Another thing about Kiyoshi is that he seems to have a problem communicating with females for if he even gets near one of at least a moderate appearance, he will instantly start blushing and probably avoid the female and even if he is obliged to engage with her, he tends to stutter quite frequently and mix up his words. Kiyoshi is also quite intelligent and reads books very often to gain knowledge that he hasn’t acquired, also tends to speak in literary terms that most people his age don’t even understand. Kiyoshi is also a negative thinker, almost to the point of paranoia, so he tends to come up with the very worst outcomes for things. Kiyoshi also has very ill confidence in himself for much anything that he does, not even his own intelligence and tends to blame himself for anything that goes wrong, even if he wasn’t at fault. Kiyoshi also has a dislike for violence and hatred, almost making him a pacifist. He always prefers to find a different way out rather than fighting, such as negotiation if an issue occurs. Unlike his parents, Kiyoshi has no hatred towards vampires and doesn’t really enjoy being a Vampire Hunter for the sheer fact that he has to hunt living beings. Despite this and his ill self-confidence, Kiyoshi is actually an extremely skilled Vampire Hunter for his age, having excellent abilities in Marksmanship as well as Martial Arts, surpassing most if not all, hunters his age. Uniqueness:Due to an unknown reaction in his body after feeling a very high sense of negative emotion such as anger or fear, Kiyoshi has the ability to go into a berserker state in which his entire pacifist like lifestyle changes and his only goal is to beat the holy hell out of his target, his eyes turn into a glowing red and his strength is almost superhuman. Biography:Kiyoshi was officially born in Nagasaki, Japan. But soon before even his first birthday, his parents moved with him down to the United States, Chicago, Illinois to be exact so he basically was a Japanese-American raised boy. Ever since he was but around three years old, Kiyoshi had been brought up in a strict household and was disciplined for wrong actions quite harshly, some might even say that he was physically, mentally, as well as emotionally abused by his parents but that was just the way they raised their child, though in reality they were just preparing him for the real world. Once he was 6 years old, Kiyoshi had been past kindergarden and was in his first grade in school. His life as a kinder gardener wasn’t too bad, but he was always known to be just “That quiet kid in the corner” rather than a known member of the class. By 3rd Grade though, Kiyoshi hadn’t made any type of friends in his entire life due to the fact that he was always the youngest kid in class due to rising up a grade without a full year of attendance, until he met someone else that took an interest in the kid. One day, a boy named Marcus started working in a group assignment with Kiyoshi and was instantly baffled by the kid’s vast knowledge in anything put in front of them and figured that he probably had the same level of knowledge as a Middle School Graduate in the 3rd grade. Marcus started hanging out with Kiyoshi more often and they started spending a good amount of time together, also mixing in their knowledge and culture to one another, Kiyoshi sharing his Japanese culture with him and Marcus sharing his urban culture. Once Kiyoshi was around the age of 9, Marcus being 10, and Fifth Graders, they both started taking interests in the gun community. They didn’t know exactly why, but it intrigued them greatly to the point where they had a vast collection of BB guns that looked almost exactly like real guns and practiced with them for hours everyday in various ways, including playing a game where they would shoot a can and keep it bouncing for as long as they can for consistent accuracy, shoot trashcans in the distance for marksmanship and much more. After about a year of self training, both parents took note of Kiyoshi and Marcus’s immense progress in marksmanship and started to discuss starting Kiyoshi’s training immediately in the art of Vampire Hunting. Thing actually was that unbeknownst to young Kiyoshi, both of his parents were professional Vampire Hunters and known Masters at it. Once they saw natural skill in both the kids, they told them about Vampires and such about their jobs, etc. They were both very intrigued by this and practically begged if they could be Vampire Hunters also even before Kiyoshi’s parents could even offer it to them. The next 3-4 years consisted of not only school but vigorous Vampire Training until Kiyoshi was 13 and Marcus was 14 and they were both ready to actually get on their own journeys of Vampire Hunting as their very own team. It was then that when they were on a Duo mission with Marcus and Kiyoshi. There was a point in time where Marcus’s ego got the better of him and he bit off more than he could chew by attempting to fight one of the highest ranking Vampires in the area by himself, but obviously the job was too much for the young hunter. Fortunately though, Kiyoshi was able to arrive in the scene and help fend off the high Vampire with such expertise in the attempt to save his best friend, Kiyoshi almost took him out before he started to bring his friends and they were surrounded. When they were about to be ripped to shreds however, Kiyoshi’s parents came out and took care of the troopers. Just as they were checking on the children, they realized that it was too late and they were set up for a trap for them. Next thing Kiyoshi knew, he was waking up in the middle of the street along side his best friend. Marcus immediately apologized for getting Kiyoshi’s parents in that mess, but Kiyoshi just blamed himself, causing utter confusion with his friend. Kiyoshi then went home alone to not find his parents home for obvious reason, that they were either captured or dead or both. After almost going a year by himself, him and Marcus losing contact with one another, Kiyoshi took on many high Vampire Hunting jobs to pay the bills until he had obtained some information that his parents could be in Japan under the captivity of a Pureblood Vampire Family. Taking a few more Vampire jobs and selling a good amount of merchandise, taught on how to make quick cash by Marcus, in order to buy himself a plane ticket and possibly work something out there. Once he had placed himself on Japanese soil once more, Kiyoshi used a bit of the leftover money in order to rent himself a place to stay at his aunts old house before she married under the condition that he remained in school for the time coming as he would start his search. Rp sample: The light shone through to his closed eyes, piercing the barrier of his window. His eyes slowly opened, but stopped halfway, as he tried to decide if he should reward himself with another 5 minutes of sleeping. His alarm clock revoked that option, though, as it set off in a pattern of beeps. Kiyoshi sat up on the edge of his sleeping mat, stretched his arms, and then rubbed his eyes. He stared at the time as he flipped the switch on the clock. “10:00 a.m.” was what he read on the clock. Kiyoshi scratched his shirtless chest instinctively and yawned a bit, unwilling but he stood up from his position and walked over to the window, pulling apart the sheets. Kiyoshi had a great few of the Japanese city from here and wondered what it would be like on his first day in Japan in well over 15 years, it’s almost as if he’d never been here before it was so long ago. Kiyoshi took a deep breath as he opened to window to get a better feel of it. The air certainly smelled good and felt great and now was the time to start his day on his search for his parents but first, he had to go to school. Kiyoshi took a minute to himself to make a big sigh, he was hoping that he would be able to start on his journey ASAP but it seemed like that was not to be thanks to his naturally strict aunt that always wanted him to go to school. Fair enough, Kiyoshi accepted this and thought about it in the most positive side that he could think of, though that could take him a while to do first but nevertheless, it was time to take a shower so he closed the window as he walked over to the bathroom. Location : Drinking blood in Dracula's castle.